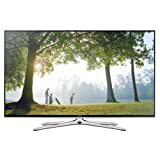 Gaming TV’s are television sets that have a faster image response, a better refresh rate, a specific gaming mode and many other features that could satisfy the requirements of even the most avid gamer. While many of those who want to buy such a television set may think that resolution is very important for having a high image quality, the truth is that the resolution of many console games is not very high. Depending on the processing chips that are used in each TV and various other factors, different television sets can display the same game with the same resolution differently in terms of picture quality. The first thing you should check before acquiring any television set that you want to use for gaming is the Gaming Mode. The TV must have this mode available. When it is activated, any motion blur effect, color balancing settings and edge sharpening effects that are good for Blu-ray Movies, but are not very good for games, will be cancelled. In this way, delays are avoided and the response time becomes better. The idea is to obtain an image that is a close as possible to the one obtained on a computer monitor. Another important factor to consider is the refresh rate. It can go from 60 Hz to 120, 240, etc. This refresh rate is the rate at which pictures are updated on the screen. The higher it is, the higher framerates are supported in a game without lag. If you want to have a smooth experience while you play, a TV with a refresh rate of at least 120 Hz is recommended. Along with the native refresh rate, most companies use interpolation and other functions for improving the picture. However, the functions have a negative impact on speed. Because of the high refresh rate, a plasma TV can be the best choice for gamers. Many games have High Definition content, but the support for Ultra HD (also known as 4K) is still poor. HD games can be converted in the Ultra HD format. The main advantage of 4k is that you can move closer to the screen and still see a high quality picture. Many gamers like 3D gaming, because video games are much more immersive in this way. The popularity of 3D displays is constantly rising. Some TV’s can have a software framerate booster, but it cannot compare with a native refresh rate. 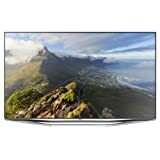 While LCD TV sets have motion blur, LED TV’s and plasma TV’s have a clear motion. Plasmas have a basic refresh rate of 600 Hz. The HDMI interface can be sometimes responsible for lag and the reason is that a lot of processing is needed. All that a gamer wants is to avoid a low input lag and to have an experience without blur that is perfectly responsive. This can make gamers to be closer to the action. A high input lag is the one of one hundred milliseconds and a good input lag can be of 16 milliseconds. If this lag is too serious, gameplay can be affected in a bad way. You should find a TV set that has the lowest input lag. When it comes to contrast, this characteristic is meant to make the bright spots brighter and the dark spots darker. If the contrast is not high, gamers may have to turn the brightness up. However, this option is not the greatest, because it can oversaturate the colors and the black spots may become grayish. There is a feature for some TV sets called local dimming that can control the contrast in such a way to make the details of dark areas always visible. The detail level and the clarity of a screen that has such features can astonish you if you would play a game and see for yourself. Local dimming works by dimming the LED backlight of the screen. The process itself is not noticeable, but the results are amazing. The more ports, the better it can be for the user. A good TV has at least two or three HDMI ports, because you may want to switch between different devices that all use HDMI: Blu-ray players, streaming players, laptops, cable television decoders and gaming consoles. Gaming TV sets can be available in many diagonal sizes for the screen, from a size of 22 inches to one of 92 inches. The difference between a larger screen and a smaller one can matter when you want to be a competitive player. You will surely be able to react faster when the screen is smaller. You won’t have to look around a large screen. On the other hand, a larger screen can bring more realism and visual amazement. Leds are placed on the edge of the TV, they only light up portions of the screen. Light-emitting diodes are placed directly behind the screen, which makes the backlight more precise and the process of lighting up more accurate than Edge-Lit sets. Pros: Light and thin so you can install it anywhere, cheap and various due to mass production. Cons: The display has imperfections when the picture is moving fast, light-emitting diodes can’t go black completely and the detail has low score in shadowy scenes. This sets use a lot of encased gas cells to irradiate pixels to display. Plasma TV performs better in rapid motion as pixels turns off and on faster than light-emitting diodes. Pros: Plasma TVS are good at displaying black and detail details, so that’s perfect for a scary movie, it is cheap because it’s not so popular like before. Cons: The display image is not good in a lit room, and plasma is heavy and thick. This sets use the same display technology of LED&LCD TV, but it uses more pixels on the screen to generate more detailed picture, the resolution of ultra HD TV can reach 3840 x 2160. Pros: The details of words and small object are better than HDTV,. Cons: Very expensive, and other big trouble is there are only less than 100 4K TV shows and movies yet, it means 4K TV has no choice to show its ability. This sets use organic light-emitting diodes to light up each pixels individually without the light source the old televisions need, making the light more average on screen and the black area deeper. Pros: Best TV available today, bar none, it will be the future of Television set if the price can be brought down. Perfect color display on screen. There are some other types of TV sets like Rear Projection Televisions, 3D-Capable Televisions and Curved TVs, you can choose them if you clearly know what you want. The 65-inch large gaming TV from LG is a full HD television set that is Energy Star compliant and can be mounted on a wall. By using this model, you can benefit from rich colors and details and also, a high contrast. 2 HDMI ports are available, which is enough for a gamer. One USB port also exists. The video processing engine and the Motion Clarity Index 480 can make your games really enjoyable, without any blur. LED-edge lighting is a feature that can make this device to look very slim. The two speakers provide 20 Watts of output power. Another full HD TV set is the Vizio E500i-B1, which is a smart LED TV with a diagonal of 50 inches. Instead of edge-lit backlighting, this model features full-array LED backlighting. The device is very thin and light and has the feature called Active LED Local Dimming (with 16 zones), for making the dark spots in game images more visible and detailed. An impressive number of 4 HDMI ports is available, along with 1 USB port and Wi-Fi. The Clear Action Rate function can be turned on for games, as it improves the gaming experience. For any other application, it should be turned off. The refresh rate of 120 Hz can be another great thing for games. The depth and colors of the screen may not be as good as the ones of a plasma TV, but the quality of the picture is high. As a conclusion, the model from vision provides enough value for an average looking TV set that gamers will surely like. This is a Samsung model that has a native refresh rate of 60Hz, but the Clear Motion Rate is of 120, making the TV set good enough gaming. An edge-lit LED backlight makes the picture look awesome. Two USB ports have been attached and you can benefit from the use of 2 HDMI ports and a Wi-Fi connection. The images for this full HD smart TV are crisp and clear. A universal remote control is part of the package, but you may get the TV set without any app installed. For gamers, this may not be the most important thing anyway. The color richness and the DTS sound are other two characteristics of this model. Even if the price can be double or more than the one of a flat 65-inch TV, the curved screen of this Samsung device can make it worth. It can help you become fully immersed in the games you play. This model is the “missing link” between 4k OLED curved TV’s that are the higher end of the line and the flat full HD television sets. Its design is really cool. The model is the only one from all full HD LED TV’s that use True Local Dimming, making the quality of the picture astonishing. A panoramic view is obtained by enhancing the peripheral vision of the watcher. The representation of colors and the contrast are both excellent, because special technologies are used for each. Despite the curved screen, the set can still be mounted on a wall. As a Smart TV, the device has numerous features, but the important aspect for gamers is the 3D functionality. You will get 4 active 3D glasses in the package, which means that 4 individuals can watch a 3D movie or play a game simultaneously. There is also a Dual Screen function for multitasking. You get more than enough HDMI and USB ports: 4 HMDI and 3 USB. The price of this device may be a bit high, but it has everything a gamer needs and the gaming performance is excellent. This is a projector, not a TV set. It is capable of 3D without using glasses and has a very good image quality. The device has similar characteristics to projectors that cost thousands of dollars, but it costs less than one thousand. The idea is that you will not find a huge “screen” for this amount of money, excepting this projector from BenQ of course. The size of this “screen” can go up to 200 inches. The design is not the usual design that you find in other projectors and it has comprehensive controls. The remote control looks like the one of a DVD player, which means it is very easy to use. BenQ W1070 has built-in speakers and 2 HDMI ports that can help you watch Blu-ray movies and play games. You can enjoy the NVIDIA 3DTV connectivity feature as well. The very high contrast and the astonishing image performance brings great value for the money spent on this device. The projector has different technologies implemented, such as the native 1080 DarkChip3 DLP, or the eco-friendly technology called SmartEco. After the projector is being started, it will switch automatically to Eco Blank Mode for three minutes. No display source will be on in these three minutes, for the purpose of prolonging the lifespan of the lamp. Compared to other projectors, this one has more colors: one billion. This is another full HD model from LG that is Energy Star compliant, helping gamers to save up to thirty percent on energy. The native refresh rate is of 60 Hz, but the Motion Clarity Index of 120 can make it better. Two HDMI ports and one USB exist. The sound quality is very good. If you don’t have the budget for a smart TV, this model can be one of the best choices. This solution is for gamers who don’t have the money or preference for Samsung products that are higher in the line, as it doesn’t have 3D capabilities or smart functionality. However, the model can provide a clear and high quality picture at a full HD resolution, a refresh rate of 60 Hz and a Clear Motion Rate of 120. At this CMR rate, fast-moving images are sharp and clear, highly contrasted and without any distortions. The device handles fast moving images very well and this makes it a good choice for gamers. The appearance of this TV set is glossy and quite modern, due to its slim construction. A remote control can be found in the package with the TV. Because this Samsung television set is actually a plasma TV, its refresh rate is of 600 Hz. In terms of image quality and performance, this is the real deal. 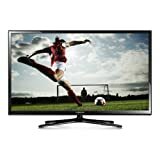 The amazing brightness levels, the deep black levels, the quality of colors and the clarity of the picture is the best that you can get from Samsung if you buy this plasma TV. The price is not low, but it would be impossible to be, considering the characteristics. It is not only a plasma device, but also a smart TV with a quad core processor, 3d functionality, Wi-Fi and a slim design. It looks different than usual designs because of the Metal Flow Stand. The television set is full of neat features (for example, you can control it by making gestures with your hands) and comes with 4 pairs of 3D active glasses in the package. A smart touch remote is also included. The letters OLED speak for themselves: the best image quality that you can find. The black levels are incredibly deep and the white levels and incredibly bright. This makes the images very realistic. To make things better, the TV is also a curved model. Some users may say the images are better than reality, because they are enhanced with an amazing color palette. The contrast is so high that it seems to be infinite. Normally, OLED curved TV’s are expensive and this model makes no difference, especially since it’s a model with a diagonal of 55 inches (small for the price). But, a gamer who wants the best image quality and performance may forget about this aspect. For OLED, the refresh rate is better than the one of any other type of device (LCD, LED, or plasma). For connectivity, the device has 4 HDMI ports, 3 USB’s and others. The futuristic design makes the device to look splendidly. A native refresh rate of 120 can transform this full HD smart LED television into the right choice for any gamer. The picture and the sound are detailed, clear and real. The image quality is ensured by the X-Reality PRO picture engine, which is unique and exclusive to Sony. Another special technology that was used is Motion flow XR480. With an edge-lit LED backlight, there is enough light for brightness and contrast. The screen is capable of showing a 3d picture when it is needed. In tests, this model seems to have one of the lowest input lags of all the newest models. The connectivity of the device is represented by 4 HDMI ports and 3 USB’s. In the package, you will find a remote control, a stand and 2 pairs of 3D glasses. In terms of design, the TV looks cool and has a curved stainless steel stand. The frame of this TV from Sony is very thin. Gaming TV’s are fragile devices and they can be protected against dust and other agents in the same way regular TV sets are cleaned. Before you start the cleaning process, it is recommended to unplug the device from the power source. Use a soft cloth for cleaning and make sure the device cannot fall. There are special cleaners and anti-static wipes for the screen. Stay away from chemicals and cleaners that are not specifically made for television screens and monitors. Avoid towels and materials that could scratch the screen surface. First, wipe the dust from the screen with a soft cloth, then use the special solution on another piece of cloth to wipe the screen. Don’t spray it directly on the surface. Use circular motions, and then dry the surface with a dry cloth. The screen and the rest of the external components need cleaning from time to time. Plasma TV’s are the ones that can suffer from image burn-in. But, newer devices are protected by default, so you shouldn’t worry too much about this. For older models, users protect the screen by not leaving a still image on the screen for too long. A dynamic screensaver can also be used for protection. When a game is paused, a still image can show up and this is when you need protection. Most of the newer models are built to constantly have a dynamic image that moves very fast even if this is not noticeable with the naked eye. This means the screens are burn proof. Sometimes the anti-burn setting has to be activated. Another way to protect your gaming TV is to pay a small fee for obtaining an extended warranty. This measure can be useful for cases in which your television set becomes damaged due to falling. Even if gaming TV’s are fragile, they are reliable if they are used properly. However, accidents can happen and this is when extended warranty becomes useful. LG Curved OLED vs Sony 4K LCD: Which One Is the King of Modern TV's? What is the Best TV Screen Size for Gaming?